Now i am stopping for a bit, we leave this wednesday for Tsehum harbour. 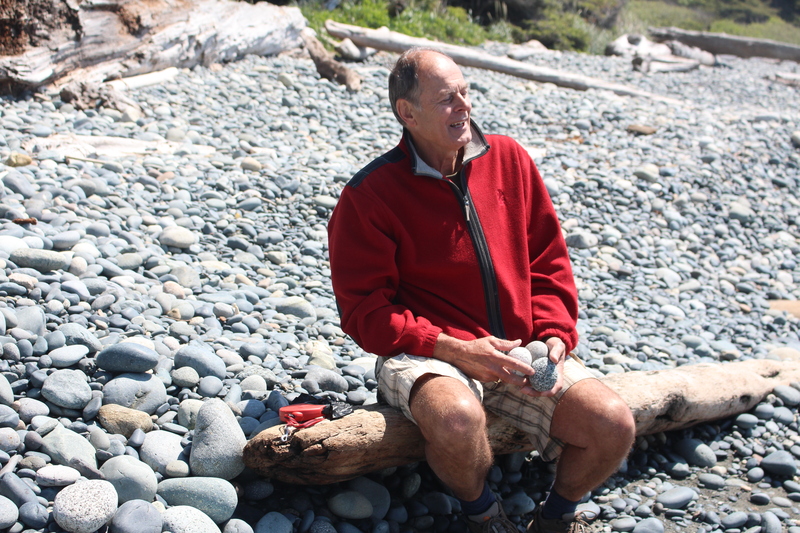 Our friend Matt, who is the manager here at the marina , has accepted another job, and is therefore leaving, so on friday we have a get together to wish him luck and say so long, after that we head out towards Pender harbour. So stay tuned, more to come, by the way, make sure you check the blog from svtheredthread.com Their adventures continue……. Back on the boat…..work to be done!!!! 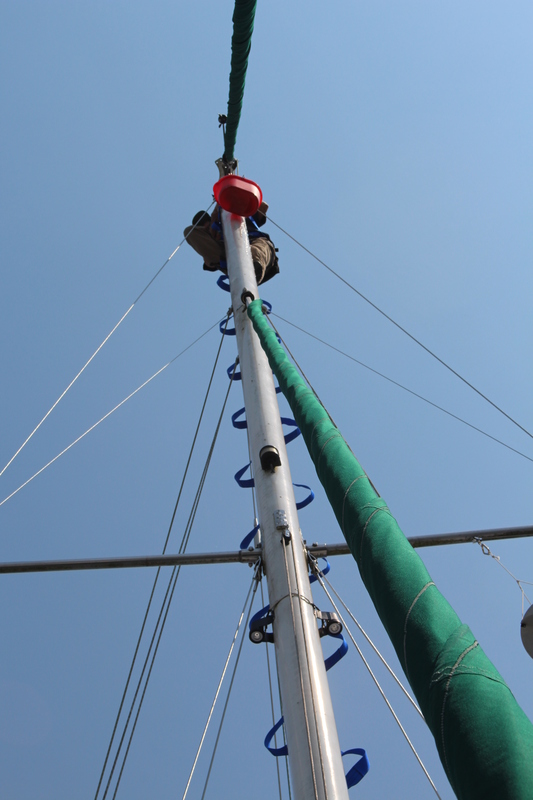 We have been back now for 2 weeks, and have been going non stop, one fine morning we looked up at the mast, and noticed that it did not have the ones nice creamy white color anymore, but a dull, dark grey……DIRT!!! up there?? 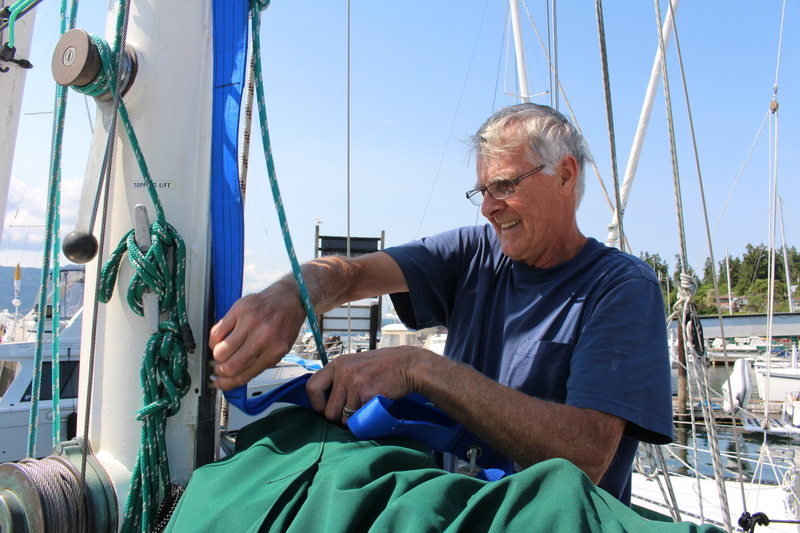 so, Bert hauled out his MASTMATE, not used yet, he usually uses a seat with safety lines and a climbing device, with which he pulls himself up, this MASTMATE goes into the track of the main sail, all along are steps, offset, made of very tough webbing. 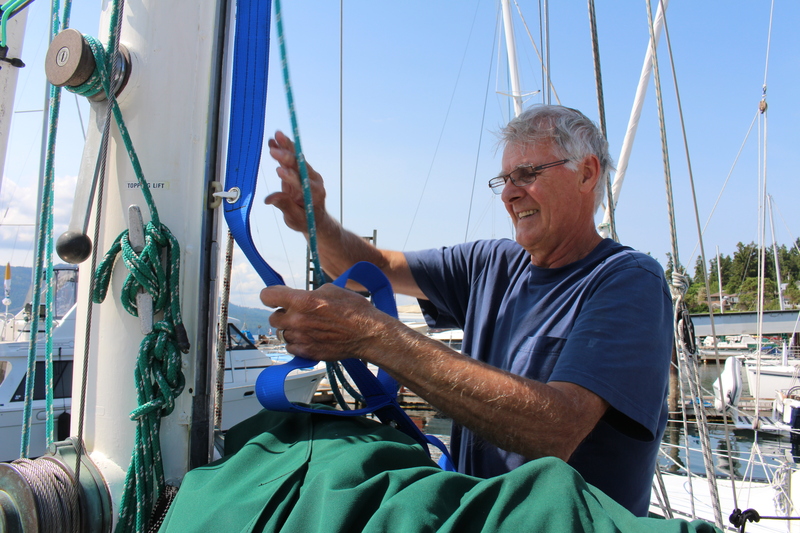 He sets himself in a harness, ties a safety line around the mast, plus another for me to control from the deck. 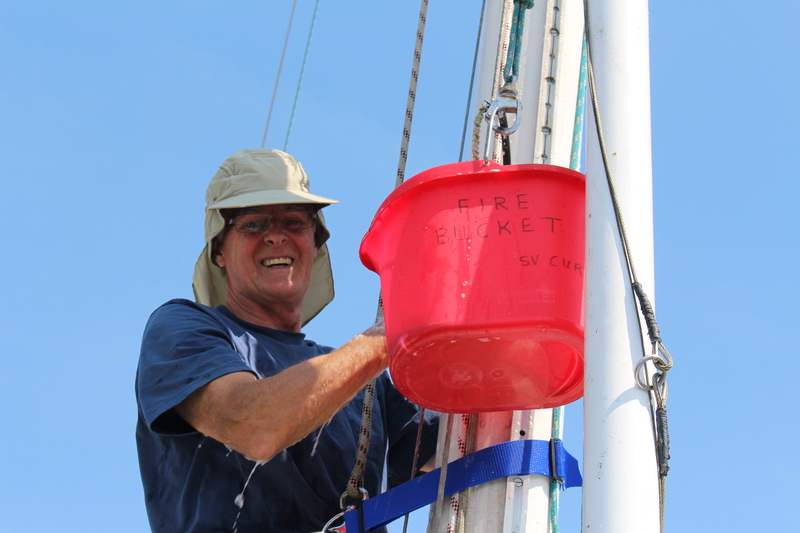 I also haul the bucket with hot soapy up to him on another line. 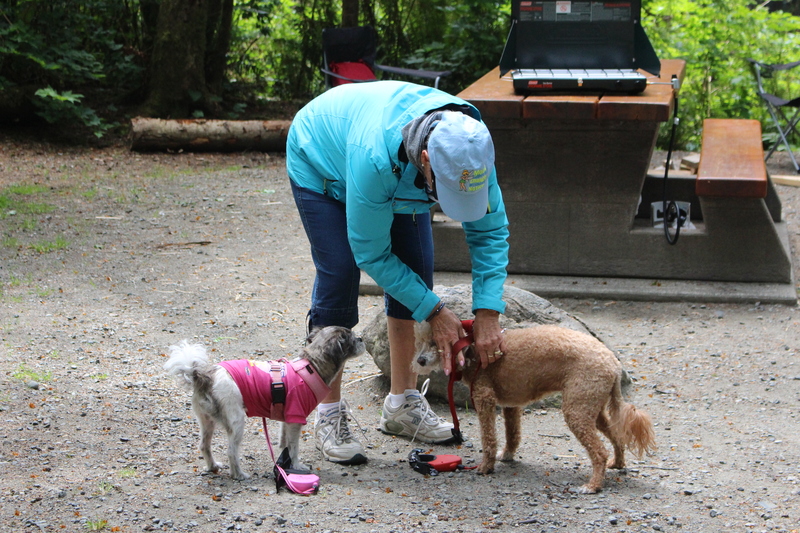 I did look nervously up once in a while, as that bucket made its way up to him…. He went all the way to the very top first, and started from there. By this time i really made sure i was well away from the mast, first securing his safety line. 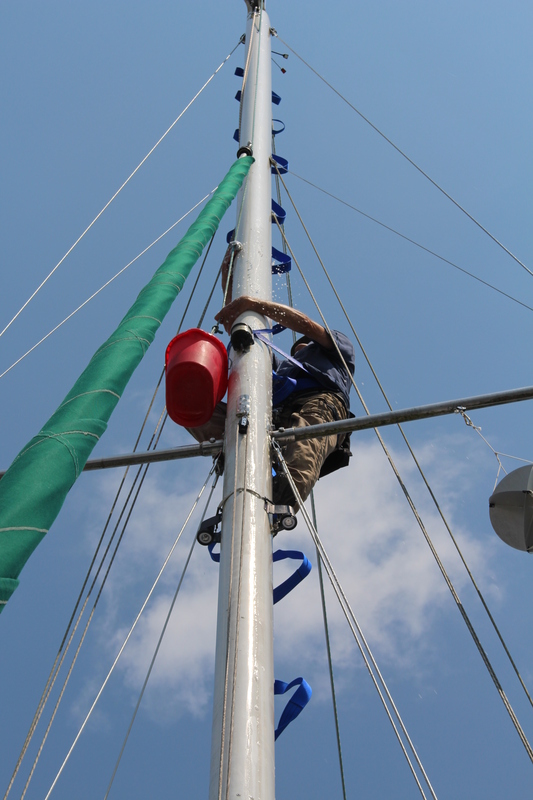 He did an incredible job, slowly the lovely creamy color of the mast showed itself again, and after 4 full buckets of hot, soapy water, he was done…..but , he had forgotten to reposition a line from the top, so back up he went again. This was one very tired lad when he was done, but the MASTMATE worked just great, Bert felt safe and secure up there. 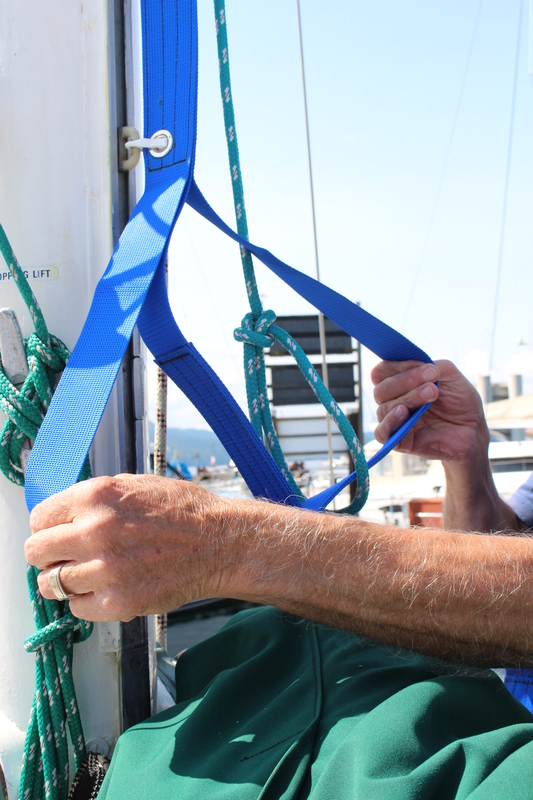 This shows how the MASTMATE works. 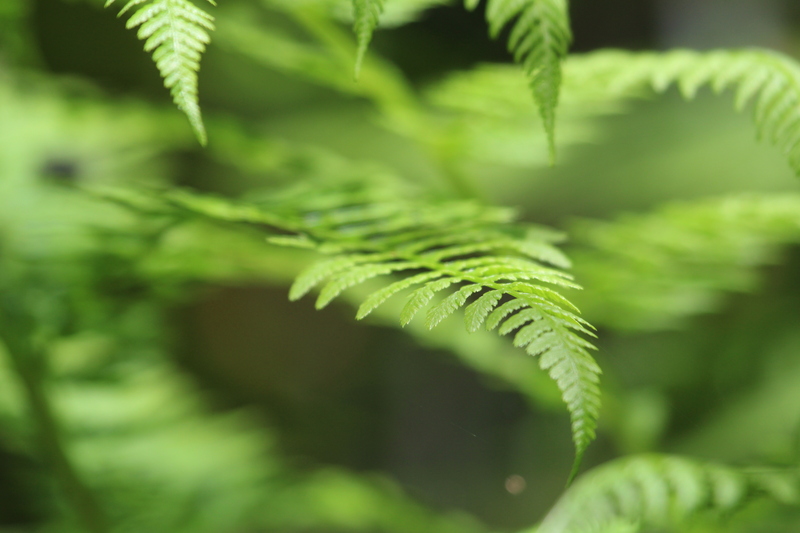 he started at the very top…. job well done… time to put it all away again. By the time he was done, he got his one shoe stuck in the step, but he was hanging just two feet above deck, so no great danger, i should have taken a picture but i took pity on him!!!!! We stopped there on the way up , joined later by Roel and Ineke, we had some lunch , a homemade soup, and a huge choice of sandwiches, also homemade sausage rolls, and are they good!!!! 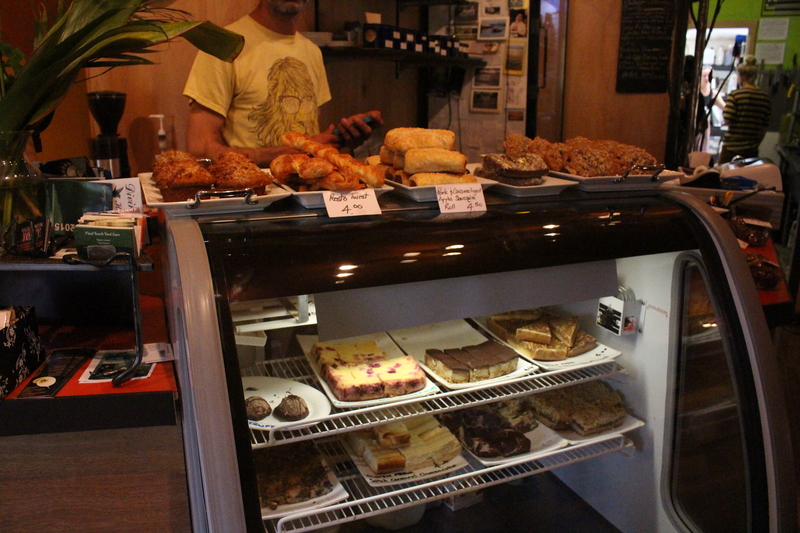 Most of the baked goodies are Gluten Free, which suited me just fine! We chatted with one of the owners, a fellow from South Africa, i love his accent as it reminds of my daughters husband, who is also from South Africa,the owner talked some zuid afrikaans with us, we could follow it as it is close to the dutch language. If you go up that way ,make sure you stop at this cafe, its very worth while. Shirley Delicious , North of Sooke. A variety of wonderful goodies. 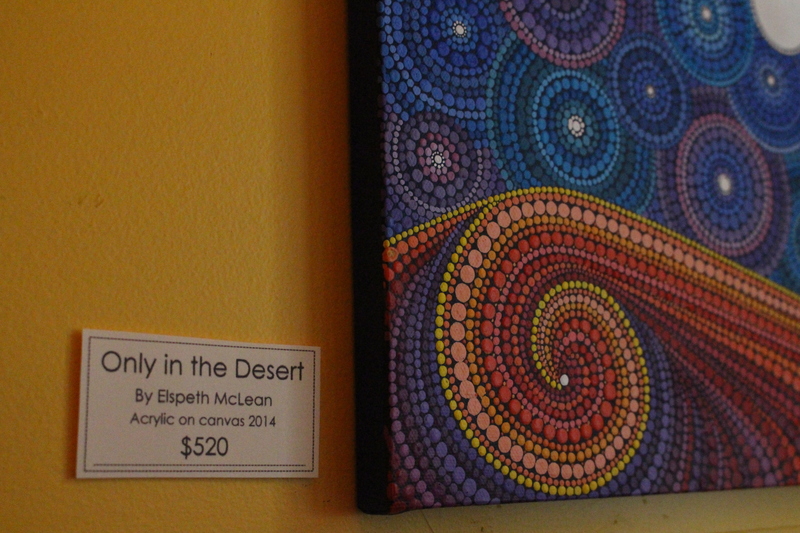 a sample of Elspeth’s art. 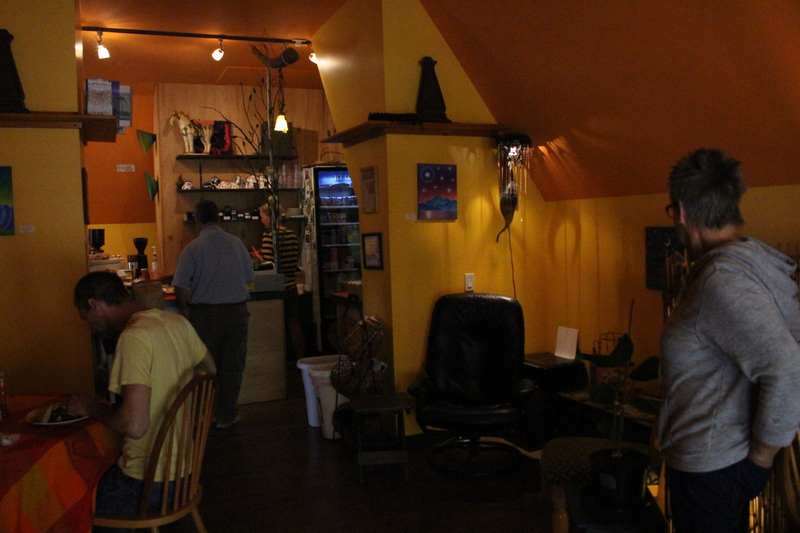 the inside of the caffe has a warm ambience, painted in warm colors. 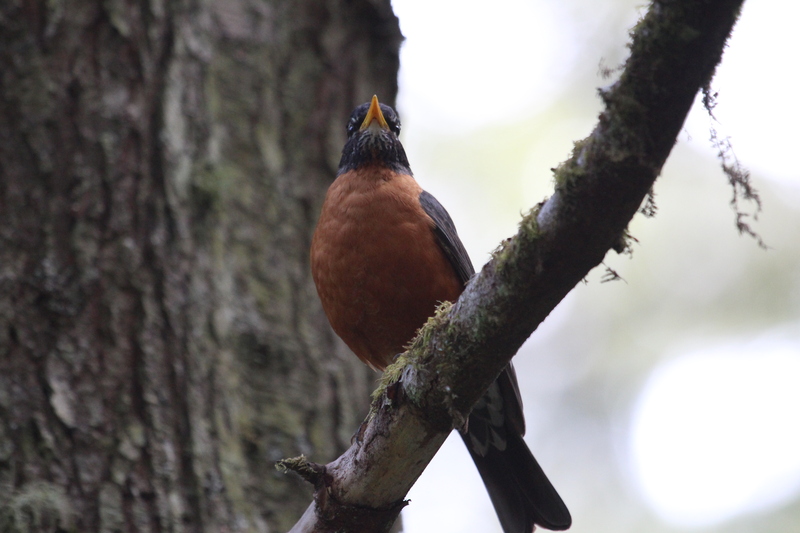 male robin, who woke me up in the very early morning with his beautiful song. Roel collecting rocks for the bocce game. 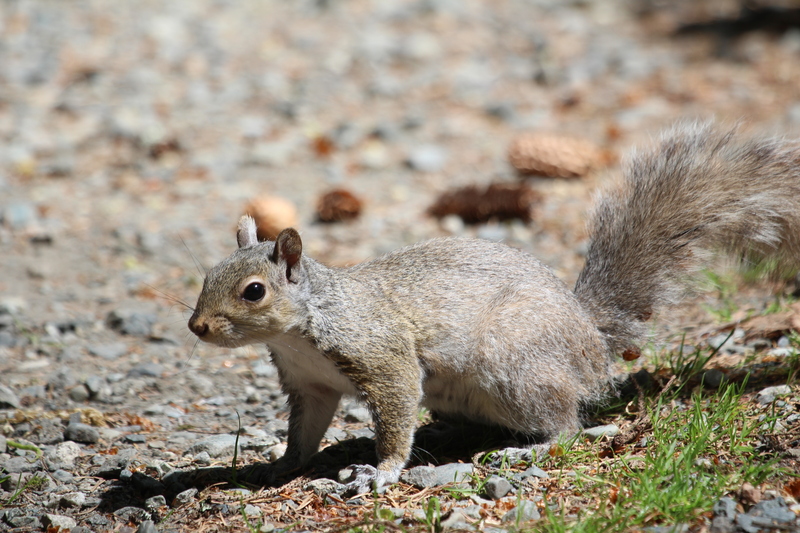 little squirrel came to investigate our camp spots. 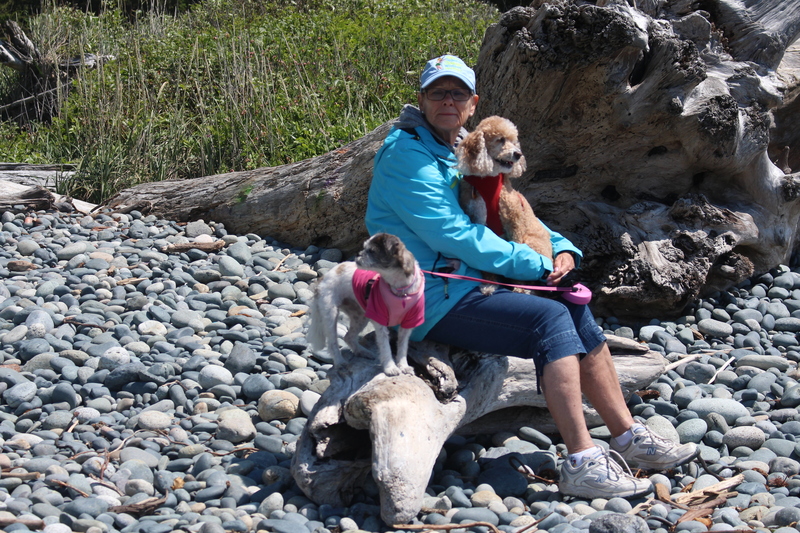 We took the dogs out every morning and afternoon, in the morning ,Roel and Bert would take Suki and Lucy out, they loved going with the guys, loved putting their toes in the sand!! 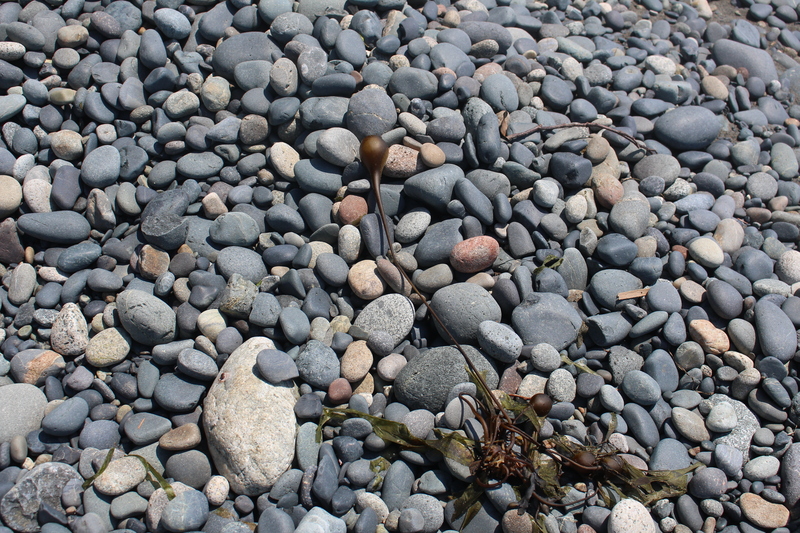 beautifully polished rocks, every one of them is so smooth and soft. 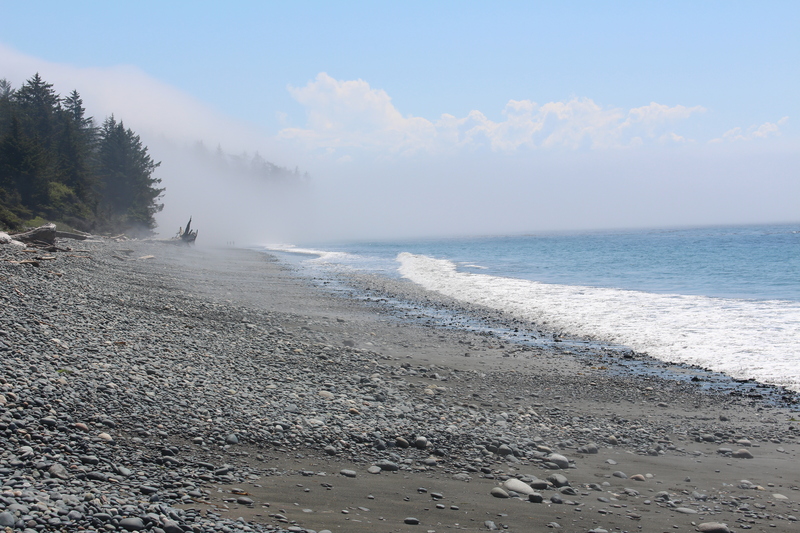 The fog rolls in overnight, and slowly dissipates during the day…..